Job Seekers who are waiting for Delhi Government Jobs now hurry up and apply for Delhi Transco Limited Recruitment 2018. Newly the Delhi Transco Limited (DTL) has circulated a new notice to fill up skilled candidates for 33 Assistant Manager Vacancies. Willing aspirants can fill the application form from 12th January 2018 to 20th February 2018. More details about Delhi Transco Limited Recruitment 2018 such as Education Qualification, Application Fee, Age Limit, Age Relaxation, Selection Process, Pay Scale, Important Dates are provided in the below section. Visit the official website of Delhi Transco Limited (DTL) dtl.gov.in. By scrolling down this page you can refer complete details on Delhi Transco Limited Vacancies 2018. Read the complete article and apply for Delhi Transco Limited Assistant Manager Recruitment 2018. Delhi Transco Limited Recruitment 2018 Notification it out. As per the official notification, the Delhi Transco Limited has decided to pick up talented candidates for 33 Assistant Manager Vacancies. And the last date for filling the application form is 20th February 2018. Aspirants who are very interested to work in Delhi Transco Limited must grab this excellent opportunity by applying for Delhi Transco Limited Recruitment 2018. The mode of applying for Delhi Transco Limited Assistant Manager Jobs 2018 is online. The required education qualification for Assistant Manager Post it must be possessed Degree in Electrical Engineering/ IT Engineering/ Computer Engg/ Electrical Engg or equivalent qualification from any recognized university. To help the applicants here we are providing complete details about Delhi Transco Limited Assistant Manager Recruitment 2018. Job Seekers who met complete eligibility criteria they can enhance this excellent opportunity. Scroll down and find remaining complete information. Interested candidates can check the notification details from here or download the official notification and refer the information. For more latest and upcoming job notifications job seekers can visit our website SarkariRecruitment.com regularly. Through this page, applicants can refer entire details on Delhi Transco Limited Recruitment 2018. By knowing the complete information about Delhi Transco Limited Assistant Manager Recruitment 2018 aspirants can easily apply. Applicants must have required age limit as per Delhi Transco Limited norms. This is a very great chance for the aspirants who want to get a job in Delhi Transco. Aspirants who are suitable for Assistant Manager Vacancies they must apply as soon as possible. As per the news, candidates must fill the application form before 20th February 2018. The candidate’s selection process is based on Graduate Aptitude Test in Engineering (GATE) 2017. Willing contenders can be reached a correct place to refer the Delhi Transco Recruitment 2018 Notification Details. Contenders age limit should be 28 Years. The upper age relaxation details are completely provided in the official notification. So, refer the official notification and check more details. Want to know more information then don’t waste your time just scroll down and grab the details. Suitable candidates for Delhi Transco Limited Assistant Manager Jobs 2018 must utilize this fantastic opportunity. Refer the official web portal of Delhi Transco Limited dtl.gov.in and view more stuff. The Delhi Transco Limited (DTL) is hiring aspirants on Graduate Aptitude Test in Engineering (GATE) 2017. On this section, you can check Delhi Transco Recruitment 2018 Notification Details. Applicants must pay Rs. 500/- as application fee. The selected candidates for Assistant Manager Post will get Rs. 19,000/- to Rs. 39,000/- along with Grade Pay Rs.5400/-. Suitable candidates must use this chance. 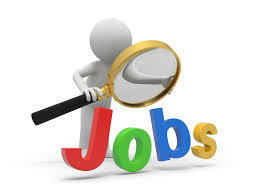 getting a job in Delhi Transco Limited is not an easy task. The discipline wise vacancy details are given below. Before filling the online application form once ensure your eligibility criteria and apply for Delhi Transco Limited Recruitment 2018. Refer the official website of Delhi Transco Limited and check more details. From here all the applicants can easily get entire information about Delhi Transco Limited Assistant Manager Vacancies 2018. The official recruitment notification is placed at the bottom of the page. In the below, you can find complete data like Discipline Wise Vacancy Details, Eligibility Criteria, Application Fee, Selection Process, Important Dates, Age Limit and much more details. Assistant Manager (T) IT – 03 Posts. Assistant Manager (T) Electrical – 26 Posts. Assistant Manager (T) Computer Science – 02 Posts. Assistant Manager (T) Disaster Management & Safety – 02 Posts. Applicants must be possessed Degree in Electrical Engineering/ IT Engineering/ Computer Engg/ Electrical Engg or equivalent qualification from any recognized university. The applicant’s age limit must be 28 years. The upper age relaxation is as per Delhi Transco Limited norms. Refer the notification and check category wise age relaxation details. Based on the Graduate Aptitude Test in Engineering (GATE) 2017 marks the Delhi Transco Limited will shortlist the applicants. Candidates must pay Rs. 500/- through Demand Draft in favor of Delhi Transco Limited. And there is no registration fee for SC/ ST candidates. The selected candidates will get Rs. 19,000/- to Rs. 39,000/- along with Grade Pay Rs.5400/-. The Initial Date For Filling the Online Application Form: 12th January 2018. The Final Date For Submitting the Online Application Form: 20th February 2018. Applicants must refer the official website of Delhi Transco Limited (DTL) dtl.gov.in. Find for Delhi Transco Limited Recruitment 2018 Notification. Eligible candidates must download the application form. Now fill the application form with required details. Attach a required documents and pay the application fee. Recheck the given details and press on submit button. Delhi Transco Limited Recruitment 2018 Notification Information is provided in the above section. So, candidates who are suitable for Assistant Manager Vacancies they must fill the form and submit it before 20th February 2018. Candidates can easily refer their results to सरकारी रिजल्ट.